Looking for something a little more dramatic? 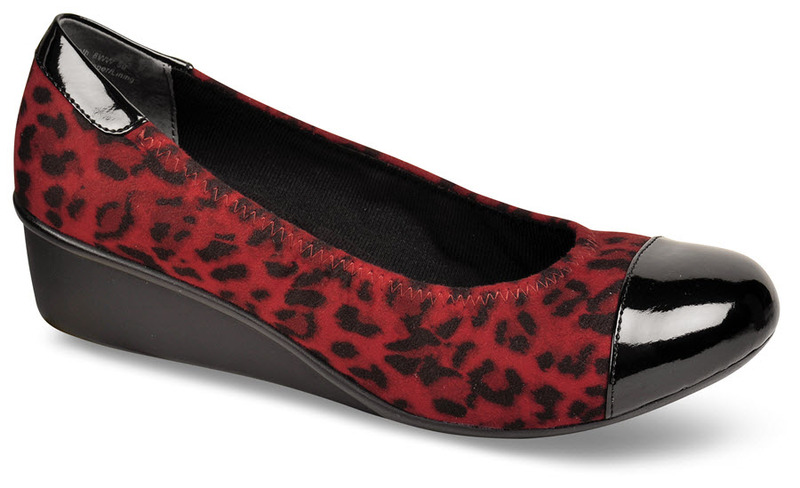 The red leopard Ros Hommerson "Elizabeth" has stretching nylon uppers that conform to your foot. The black patent leather toe is comfortably rounded. 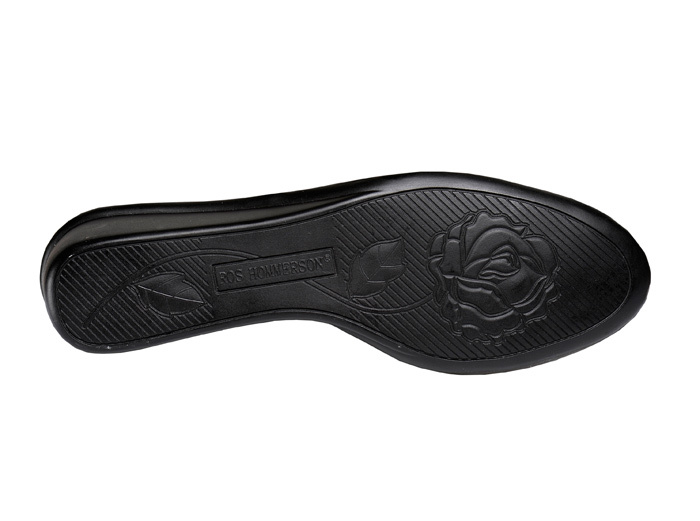 Full-length Memory Foam insole for exceptional comfort. Wedge sole with 1½-inch heel. Originally $99.95. Limited stock in women's sizes in 2E width in sizes indicated.